In the course of the operation, 20 Wehrmacht divisions were either destroyed or required major rebuilding, while another 68 divisions were reduced to below 50% of their establishment strength. 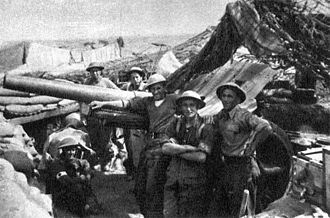 Equally huge were equipment losses, with hundreds of precious tanks, assault guns and trucks being lost, principally through their abandonment in the spring mud. According to German General Kurt von Tippelskirch, this was the biggest Wehrmacht defeat since Stalingrad. 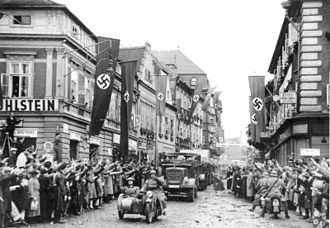 As a result of this strategic offensive, Wehrmacht's Army Group South was split into two parts- north and south of the Carpathian Mountains. The northern portion was pushed back into Galicia (Poland), while the southern portion was pushed back into Romania. The northern portion was renamed to Army Group North Ukraine, while the southern portion to Army Group South Ukraine, which was effective from 5 April 1944, although very little of Ukraine remained in German hands. 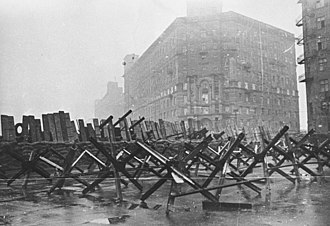 In order to save its southern sector from complete collapse, the German high command was forced to transfer 26 German divisions as reinforcements from across France, Germany, Denmark, Poland, Balkans and Army Group Centre to the crumbling front of Army Group South, which amounted to approximately 350,000 men and 853 tanks, assault guns, and self-propelled anti-tank guns. 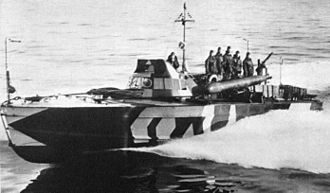 As a result, the Soviet Dnieper-Carpathian Offensive played a key role in influencing the future successes of Allied D-Day landings and Soviet Operation Bagration, as German forces stationed in France and belonging to Army Group Centre were critically weakened by those transfers. All told, German forces stationed in France were deprived of a total of 45,827 troops and 363 tanks, assault guns, and self-propelled anti-tank guns on 6 June 1944. Meanwhile, Army Group Center was deprived of a total of 125,380 troops and 552 tanks, assault guns, and self-propelled anti-tank guns on 22 June 1944. As part of the Lower Dnieper Offensive in autumn 1943, which secured the Left-bank, or eastern Ukraine and cut off the German 17th Army in the Crimea, several Soviet bridgeheads were established across the Dnieper River, which were then expanded throughout November and December to become the platforms from which the Dnieper–Carpathian Offensive was launched. 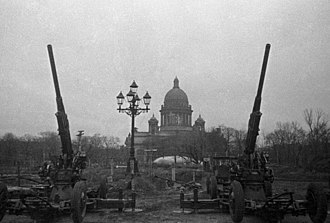 This offensive and its follow-ups, which continued into December, left several large German salients along the Dnieper, including one south of Kiev centered on the city of Korsun, between the areas of the 1st and 2nd Ukrainian Fronts, and another to the south, around Kryvyi Rih and Nikopol. 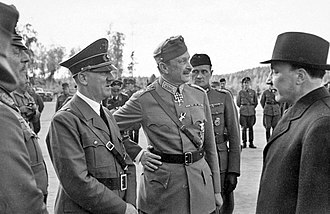 Adolf Hitler's "No retreat" policy forced German troops to hold the tenuous positions, despite opposition from Erich von Manstein, commander of Army Group South. 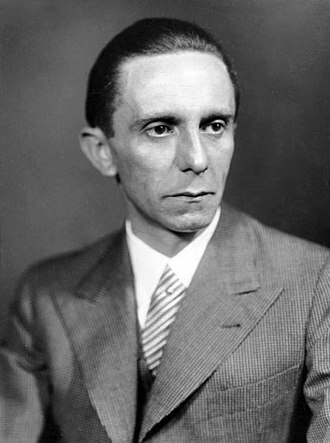 The German forces were also disadvantaged because of Hitler's Führer Directive 51 (see Führer Directives), which, while implying that he would allow his generals in the East to conduct a dynamic defense, in reality hurt them by directing all future reinforcements to the West, to counter the expected Anglo-American Invasion of Northwest Europe. 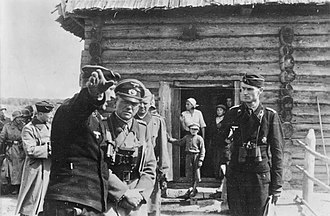 Hitler's insistence that his troops "fight where they stand" was especially strong in the Ukrainian sector, where he wished to maintain German positions near Kryvyi Rih and Nikopol for the mining operations there, and to maintain strong hold on the Crimea due to his fears that it could become a base for attacks on the oil refineries at Ploieşti and that its loss would convince Turkey to join the Allies. 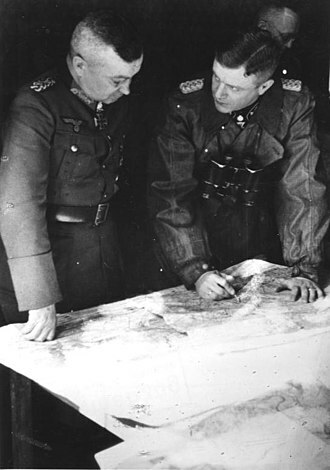 The Soviet goal was the destruction of the "East Wall" held by Erich von Manstein's Army Group South with (from north to south) 4th Panzer Army in the Zhitomir region commanded by Erhard Raus, Hans-Valentin Hube's 1st Panzer Army south of it as far as Cherkassy, the newly formed 8th Army commanded by Otto Wöhler in the region of Kirovograd, the 6th Army (recreated after its destruction at Stalingrad) under Maximilian de Angelis in the Kryvyi Rih-Nikopol salient, and the Third Romanian Army, also rebuilt after Stalingrad, under command of Petre Dumitrescu in the Tavridia area, just north of Crimea. 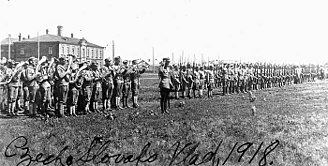 In reserve, to the north, Manstein had the 1st Hungarian Army in the north-western Ukraine, and the 4th Romanian Army hastily assembled under command of Ioan Mihail Racoviţă in the area of Soviet Moldavian Republic. Air support was provided by the Luftwaffe's Luftflotte 4. The Stavka committed four Fronts to the operation, with the Belorussian Front providing a strategic flank security to the north in the Gomel-Mogilev area, but taking little part in the actual operation. It included the 13th and 65th Armies. Vatutin's 1st Ukrainian Front had only the 60th, 1st Guards, 6th Guards Tank and 40th Armies, but possessed massive armored reserves in the 3rd Guards Army and the 1st and 4th Tank Armies, backed up by the 18th and 38th Armies and the 2nd Air Army. Konev's 2nd Ukrainian Front to the south led with the 27th, 7th Guards and 53rd Armies, with reserves including the 5th Guards Tank and 2nd Guards Tank armies, and the 4th Guards Army, all supported by the 5th Air Army. Malinovsky had the 57th, 46th, 8th Guards and 37th armies leading his 3rd Ukrainian Front, with the 6th Army in reserve, and the 17th Air Army providing air support. 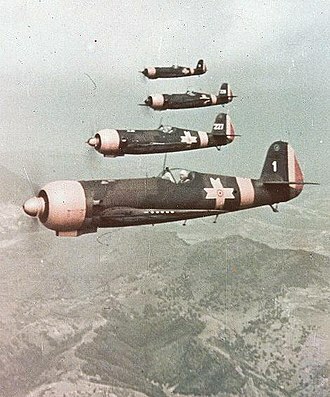 Fyodor Tolbukhin's 4th Ukrainian Front would have the most difficult job in conducting combined operations of his Separate Coastal Army and the Black Sea Fleet while the 5th and 2nd Guards armies would cut off escape routes over land for the German 17th Army with air support from the 8th Air Army and the Black Sea Fleet naval aviation. Nikopol–Krivoi Rog Offensive (30 January 1944 – 29 February 1944). The offensive was launched on December 24, 1943, by General Nikolai Vatutin's 1st Ukrainian Front, with attacks against the German 4th Panzer Army, to the west and south-west of Kiev. Manstein attempted to counter the attack with a flank attack by the Fourth Panzer Army, while simultaneously requesting reinforcements and permission to shorten the line by withdrawing. Vatutin's offensive continued west, and the Fortieth Army passed south of Fastov. 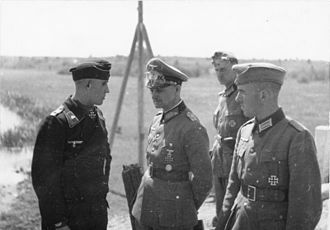 Manstein's attempted counterattack failed when Erhard Raus, the commander of the Fourth Panzer Army, said that he did not have time to organize for an offensive and preferred to attempt to directly stop the attacking troops. On December 27, Manstein directly asked Hitler for permission to pull back his troops, but he was ordered to hold. Soviet troops attacked Kazatin on December 28. After several hours of confused fighting, Soviet forces captured the town later that day. Korosten fell on December 29, and Zhitomir followed on December 31. The Fourth Panzer Army began to fall apart, as a 35-mile gap opened around Zhitomir between its southern flank and the XIII Corps. Another gap developed between the XXXXII Corps and VII Corps. 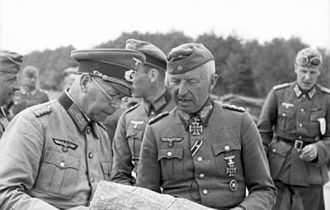 Raus advised Manstein to forgo attempts to close the gaps, and instead focus on keeping the remaining Corps intact. Around the time of the new year, however, Soviet forces began an attempt to encircle German forces, particularly the XIII, XXXXVIII, and XXIV Panzer Corps. As attacks on areas surrounding Berdichev continued, the XIII Corps was reduced to the strength of one infantry regiment. A gap of almost 70 miles was opened between Fourth Panzer Army and the First Panzer Army. Planned German reinforcements were stopped by the Soviet Kirovograd Offensive. In the course of the operation the Soviets achieved notable success. 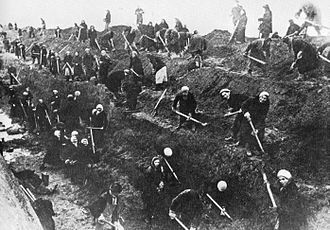 Having advanced to a depth of 80 to 200 km, they almost completely cleared the German forces from the Kiev and Zhytomyr regions, a number of districts of the Vinnitsa and Rovno regions. The Soviets now dangerously hanged from the north over Army Group South, while the 27th and 40th Armies had deeply enveloped the German troops that continued to hold the right bank of the Dnieper in the area of Kanev. This created the conditions for the subsequent Korsun-Schevchenkovsky Operation. The blow of the 1st Ukrainian Front was struck at the most sensitive place of Army Group South - its northern flank, which threatened to cut off its main forces from the paths leading to Germany. The 1st and 4th Panzer Armies operating in the front line had suffered serious losses- the 143rd and 147th Reserve Infantry Divisions were disbanded, the 68th Infantry Division due to heavy losses was withdrawn from the front-line and sent to Poland for extensive refits, while 8th Panzer Division, 20th Panzer-Grenadier Division, 112th, 291st and 340th Infantry Divisions were halved in strength. All told, 8 Wehrmacht divisions were either destroyed or halved in strength. 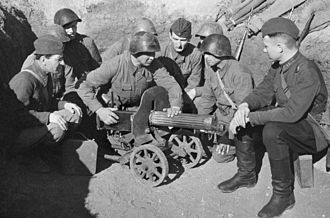 To close the gaps in their defense and to stop the Soviet offensive on this sector, the Germans had to urgently transfer 12 divisions of the 1st Panzer Army from the southern Ukraine to this area. The reserves turned out to be almost completely spent, which affected the further course of operations. 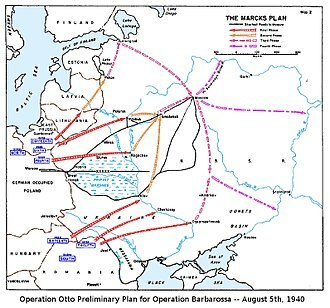 To parry the subsequent attacks of the Soviet troops, the German command was forced to deploy troops from Western Europe, as well as from Romania, Hungary, Yugoslavia. General Ivan Konev's 2nd Ukrainian Front next joined the fray by launching the Kirovograd Offensive on January 5, 1944. One of the first accomplishments was to stop III Panzer Corps' attempted reinforcement of the Fourth Panzer Army, which was simultaneously being attacked by Vatutin's Front in the Zhitomir–Berdichev Offensive. 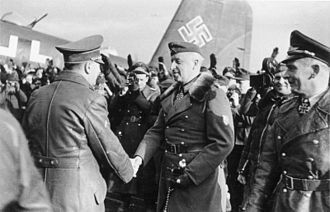 At this point, Manstein flew to Hitler's headquarters in East Prussia to ask permission to withdraw, but was again refused. 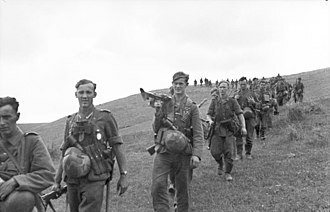 As a result of the Kirovograd operation, the troops of the 2nd Ukrainian Front pushed back the Germans from the Dnieper 40–50 km. During intense battles, the German 8th Army suffered significant losses- the 167th Infantry Division was disbanded due to heavy losses, while the 10th Panzer-Grenadier Division, 106th, 282nd and 376th infantry divisions suffered 50 to 75% losses in personnel and lost a large number of equipment. 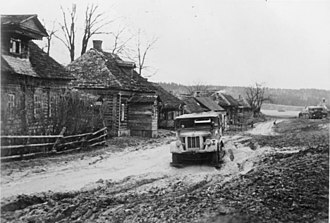 The most important result of the operation was the liberation of Kirovograd - a major stronghold and an important road junction, which broke the stability of the defense of the 8th German Army. The capture of Kirovograd threatened from the south the flanks of German forces which were located around Korsun-Schevchenkovsky. In turn, the Kirovograd Operation, alongside the neighboring Zhitomir-Berdichev Operation, created the conditions for the subsequent Korsun-Schevchenkovsky Operation. The main effort was to the south, where the Korsun–Shevchenkovsky Offensive was launched on January 24. After a massive bombardment, 2nd Ukrainian Front's 4th Guards and 53rd Armies attacked to the south of the Korsun bulge, and were joined the next day by the 5th Guards Tank Army. They broke through and easily repelled a German counter-attack. On January 26, 1st Ukrainian Front dispatched 6th Guards Tank Army from the north, which met up with the forces advancing from the south on January 28, encircling about 60,000 Germans in XI and XXXXII Army Corps around Korsun, in a pocket named "Little Stalingrad" due to the ferocity of the fighting in it. In total, twenty-seven Soviet divisions were assigned to destroy the pocket. Soviet efforts, however, were hindered by the onset of an early thaw, which made the ground muddy. 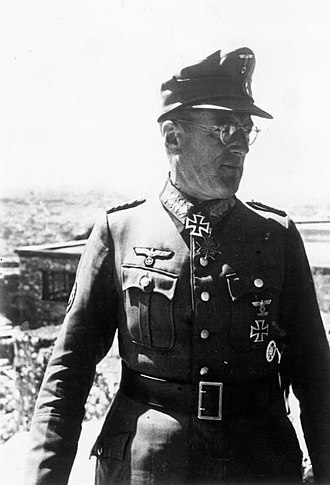 On February 4 Manstein dispatched Hans Hube, commanding the 1st Panzer Army, including XLVII and III Panzer Corps to assist in a breakout attempt. XLVII Panzer Corps attacked from the south-east, while III Panzer Corps attacked the west, but they were both bogged down by the mud. 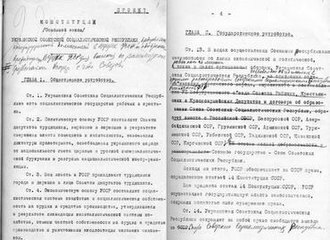 Zhukov issued a surrender demand to the forces trapped in the pocket on February 8, but was turned down. III Panzer Corps was eventually, after a hard battle of attrition, able to reach Lysyanka, close to the trapped forces, and German forces in the pocket attempted to break out, with a majority perhaps escaping, albeit with heavy losses in abandoned wounded and heavy equipment. 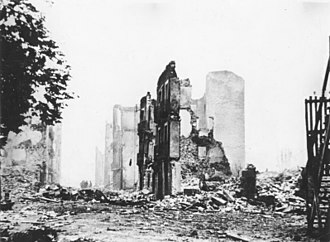 Running out of supplies and harried by airstrikes and advancing ground forces, Wilhelm Stemmermann, commander of the trapped forces, decided to attempt a final break-out on the night of February 16–17. 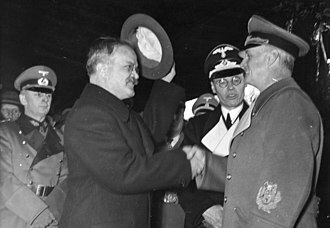 The Soviets took approximately 15,000 prisoners, and killed at least 10,000 Germans, including Commander Wilhelm Stemmermann. The battle was waged under incredibly brutal conditions, with Russian POWs shot by the Germans during the retreat, and Konev admitted to allowing his cavalry to massacre troops attempting surrender with upraised hands. Vatutin's forces continued attacking on the right flank, coming near to the important supply centers of Lvov and Ternopol in the Rovno–Lutsk Offensive, which opened a 110-mile gap between Army Group South and Army Group Center, which was stationed to the north. The Nikopol–Krivoi Rog Offensive was meanwhile launched by 3rd Ukrainian Front to the south against forces in Paul Ludwig Ewald von Kleist's Army Group A, and proceeded slowly at first. However, it eventually destroyed the salient projecting around Kryvyi Rih and Nikopol, costing the Germans the important mining operations there as well as nearly encircling the defenders. Odessa Offensive (26 March 1944 – 14 April 1944). On March 5 Koniev launched the Uman–Botoshany Offensive, advancing rapidly and soon cutting off the supply line for First Panzer Army by capturing Chortkov on March 23. On March 10, the 2nd Ukrainian Front destroyed two Panzer Corps by capturing them at the fall of Uman. After the slackening of the Soviet effort at the end of February, the OKH, the headquarters for the Eastern Front believed any further offensive effort in that sector unlikely. However, the Soviets were secretly preparing an even greater offensive, bringing in all six tank armies stationed in Ukraine. 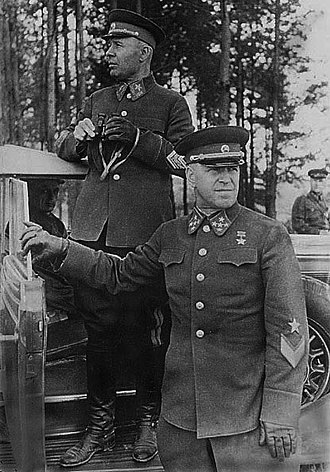 The Soviet deception measures were successful and most Germans were surprised when, on March 4, the 1st Ukrainian Front–commanded by Marshal Georgy Zhukov after Vatutin's death–launched the Proskurov–Chernovtsy Offensive (see Kamenets-Podolsky pocket), with a fierce artillery barrage. Due to the extremely muddy conditions, it was hard for the defending Germans to remain mobile, but the Soviet forces had adequate supplies of tracked tanks and trucks, giving them the advantage. 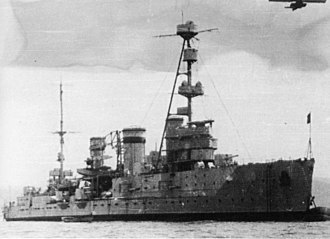 Malinovsky joined with the Bereznegovatoye–Snigirevka Offensive the next day, while Tolbukin was detached to begin preparations for the Crimean Offensive. These Fronts advanced rapidly, while Konev moved to cut off the withdrawal of the First Panzer Army. 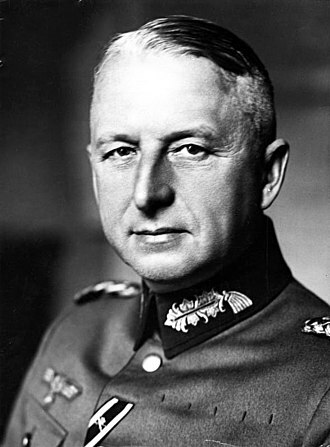 The First Panzer Army, now commanded by Hans Hube, was entirely encircled by March 28. 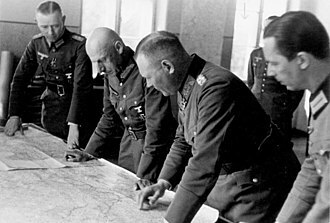 During the encirclement, Eric von Manstein flew to Hitler's headquarters and asked him to revoke his directive that required all encircled formations to form "fortresses" where they were. He was successful, and received II Panzer Corps as reinforcements, the first transfer of forces to the Eastern Front at the expense of the Western Front since Hitler's Führer Directive 51. On March 30, Hube's forces struck out of the pocket, and, because Soviet military intelligence was unaware of the arrival of II Panzer Corps and he moved west, instead of south as Soviet commanders were expecting, he was successful, and, by April 10, Hube's forces had met up with the Fourth Panzer Army. 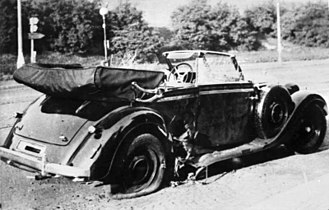 Despite this small success, Hitler blamed his generals for the overall strategic success of Soviet forces, fired the commanders of Army Group South and Army Group A (von Manstein and von Kleist, respectively), replaced them with Walter Model and Ferdinand Schörner, and renamed them Army Groups North and South Ukraine, indicating his plans to recapture this territory. Meanwhile, towards the south, the 3rd Ukrainian Front was advancing on Odessa and into the Romanian-administered Transnistria. After three days of heavy fighting, his spearheading Eight Guards Army had advanced only 5 miles (8.0 km), but it had broken the crust of Karl-Adolf Hollidt's Sixth Army, and quickly advanced 25 miles (40 km) towards Novyi Buh, nearly encircling the defenders. Despite Hitler's orders forbidding retreat, German forces fell back to the Bug River by March 11. The same day, Hollidt managed to break out from his encirclement — primarily because Malinovsky had divided his forces at Mykolaiv (Nikolaev) — and was able to improvise a defensive line on the Bug by March 21. 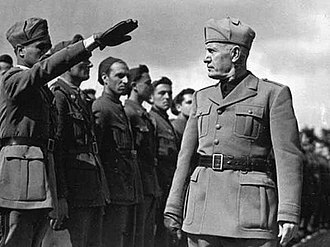 However, he had lost Hitler's confidence, and was sacked, to be replaced with Maximilian de Angelis. 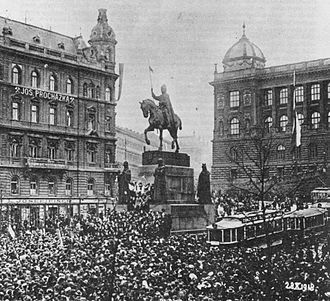 On March 28, pressed hard all over the line, German troops began to fall back from the Bug. By March 25, the Prut had fallen and the 3rd Ukrainian Front was dispatched to secure Odessa. On April 2, Vasili Chuikov's Eighth Guards Army and Forty-Sixty Army attacked through a blizzard and, by April 6, had driven the defenders past the Dniester River and isolated Odessa. 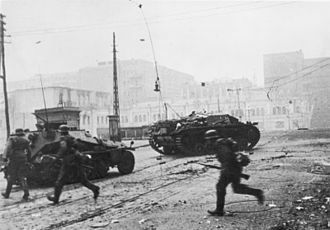 Odessa capitulated on April 10, and Soviet troops began entering Romania proper. The operation, along with the Crimean Offensive resulted in very heavy casualties for the unmotorized Romanian troops stationed in Ukraine. 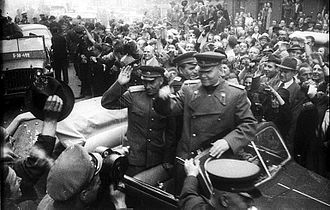 The heavy casualties and the proximity of Soviet forces to the Romanian border were the primary motivations for Romanian leaders when they began secret peace talks in Moscow soon after the completion of the offensive. In the course of the operation the Vinnytsia (Vinnitsa), Volyn, Zhytomyr (Zhytomir), Kiev, Kirovohrad, Rivne (Rovno), Khmelnytskyi (Khmelnitskiy) and parts of Poltava oblasts, and the Moldavian Soviet Socialist Republic were taken by the Red Army, an area of some 204,000 km2. During the Cold War the operation was not very widely recognized for the significant strategic victory that it really is in Western history. 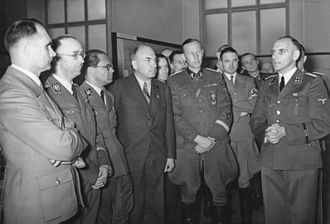 After the end of World War II, some of the commanders involved were disgraced, and Stalin widely eliminated most references of the operation. Also, under the influence of German historiography and biographies, Western historians until the end of the Cold War focused on the German successes in the extrication of the 1st Panzer Army instead of the Soviet operations themselves that reconquered much of Ukraine. ^ a b c d Frieser et al. 2007, p. 381. ^ a b c d e Frieser et al. 2007, p. 441. ^ Gregory Liedtke (2015). 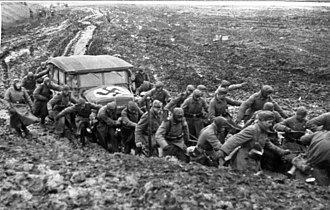 Lost in the Mud: The (Nearly) Forgotten Collapse of the German Army in the Western Ukraine, March and April 1944. The Journal of Slavic Military Studies, p. 223. ^ Грылев А.Н. Днепр-Карпаты-Крым. Освобождение Правобережной Украины и Крыма в 1944 году. Москва: Наука, 1970, p. 46. ^ Б. Мюллер-Гиллебранд. Сухопутная Армия Германии. 1933—1945 гг. Издательство «Изографус» Москва, 2002, p. 677, 767, 787. ^ Gregory Liedtke (2015). Lost in the Mud: The (Nearly) Forgotten Collapse of the German Army in the Western Ukraine, March and April 1944. The Journal of Slavic Military Studies, p. 220. ^ Грылев А.Н. Днепр-Карпаты-Крым. Освобождение Правобережной Украины и Крыма в 1944 году. Москва: Наука, 1970, p. 255. ^ Gregory Liedtke (2015). Lost in the Mud: The (Nearly) Forgotten Collapse of the German Army in the Western Ukraine, March and April 1944. The Journal of Slavic Military Studies, p. 227. ^ Gregory Liedtke (2015). Lost in the Mud: The (Nearly) Forgotten Collapse of the German Army in the Western Ukraine, March and April 1944. The Journal of Slavic Military Studies, p. 238. ^ Gregory Liedtke (2015). Lost in the Mud: The (Nearly) Forgotten Collapse of the German Army in the Western Ukraine, March and April 1944. The Journal of Slavic Military Studies, pp. 227-228. ^ Gregory Liedtke (2015). Lost in the Mud: The (Nearly) Forgotten Collapse of the German Army in the Western Ukraine, March and April 1944. The Journal of Slavic Military Studies, p. 235. ^ Gregory Liedtke (2015). Lost in the Mud: The (Nearly) Forgotten Collapse of the German Army in the Western Ukraine, March and April 1944. The Journal of Slavic Military Studies, p. 228. ^ Gregory Liedtke (2015). Lost in the Mud: The (Nearly) Forgotten Collapse of the German Army in the Western Ukraine, March and April 1944. The Journal of Slavic Military Studies, p. 233. ^ a b c d Keegan, p. 476. ^ a b c Willmott, p. 371. ^ a b c Ziemke, p. 220. ^ a b c d Ziemke, p. 222. ^ a b c d Ziemke, p. 223. ^ a b c Willmott, p. 372. Bellamy, Chris (2007). "Destroying the Wehrmacht". Absolute War: Soviet Russia in the Second World War. Alfred A. Knopf. ISBN 978-0-375-41086-4. Clark, Alan (1965). ""The Floodgates are Creaking"". Barbarossa: The Russian–German Conflict, 1941–1945. HarperCollins. ISBN 978-0-688-04268-4. Erickson, John R. (1983). "The Drive to the Western Frontiers: October 1943 – March 1944". Road to Berlin: Continuing the History of Stalin's War with Germany. Boulder, Colorado: Westview Press. ISBN 0-300-07813-7. Glantz, David; House, Jonathan (1998). 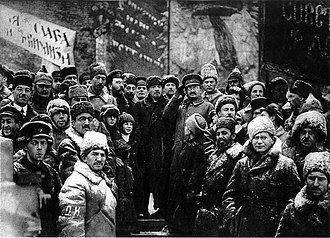 "Third Winter of the War". When Titans Clashed: How the Red Army Stopped Hitler. Lawrence, Kansas: University Press of Kansas. ISBN 0-7006-0899-0. Keegan, John (1989). "Kursk and the Recapture of Western Russia". The Second World War. Harmondsworth, Middlesex: Penguin Books, Ltd. ISBN 0-14-011341-X. Liddell Hart, Basil (1970). "The Liberation of Russia". History of the Second World War. New York: G. P. Putnam's Sons. ISBN 0-306-80912-5. Pimlott, John; et al. (1989). "Russian Ring of Steel at Korsun". The World at Arms: The Reader's Digest Illustrated History of World War II. London: The Reader's Digest Association Limited. ISBN 0-89577-333-3. Werth, Alexander (1964). "Close-Up I: Ukrainian Microcosm". 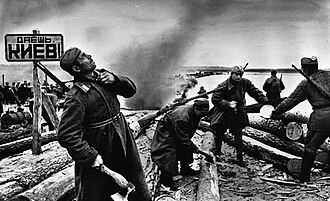 Russia at War, 1941–1945. New York: E. P. Dutton & Co., Inc.
Willmott, H.P. (1989). "Western Ukraine Offensive". The Great Crusade: A New Complete History of the Second World War. New York: The Free Press. ISBN 0-02-934715-7. Ziemke, Earl F. (1968). "Offensives on Both Flanks–The South Flank". 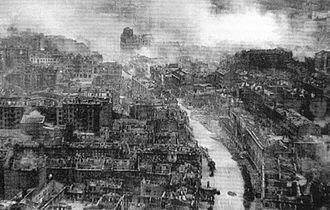 Stalingrad to Berlin: The German Defeat in the East. Washington, DC: The U.S. Army Center of Military History. ISBN 1-4102-0414-6. Frieser, Karl-Heinz; Schmider, Klaus; Schönherr, Klaus; Schreiber, Gerhard; Ungváry, Kristián; Wegner, Bernd (2007). "Die Rückzugsoperationen der Heeresgruppe Süd" [The Retreat of Army Group South]. Die Ostfront 1943/44 – Der Krieg im Osten und an den Nebenfronten [The Eastern Front 1943–1944: The War in the East and on the Neighbouring Fronts]. 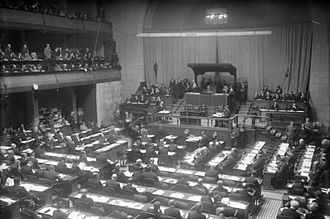 Das Deutsche Reich und der Zweite Weltkrieg [Germany and the Second World War] (in German). VIII. München: Deutsche Verlags-Anstalt. ISBN 978-3-421-06235-2.